In an age where countless hours are spent face-to-face with a digital screen, we are less connected than ever with real people. For working professionals looking for a hobby that is exciting, adventurous, and social, ballroom dance is a surprising option — and one with numerous factors that upgrade your quality of life naturally. Not only does ballroom dance give you a way to exercise without breaking a sweat, but it creates a positive endorphin release that improves your mood and outlook. You may spend 40-60 hours a week dealing with the stress of your job, but stepping into an Arthur Murray studio for a dance lesson, group class, or practice party can dramatically improve your positivity. Students who frequent our studios often tell us how much better they feel even after a rough day just by being in the environment of the fun music, fellow students, and enthusiastic instructors. There isn’t a single person who wouldn’t benefit from having a fun, safe place to be any night of the week to reduce stress factors in their life. Maybe you didn’t set out to find a place to meet new people, but perhaps you find yourself meeting people in similar life situations to your own and you make new connections. At our Arthur Murray studios in the puget sound, you will discover many people who share a common love of ballroom dance, as well as life experiences, a love of adventure, and much more. With 275 studios in 25 countries, your social opportunities are literally endless. Ever wanted to be a world traveler? Or perhaps you already travel the world but are confined to meeting rooms in hotels for the duration of your travels. 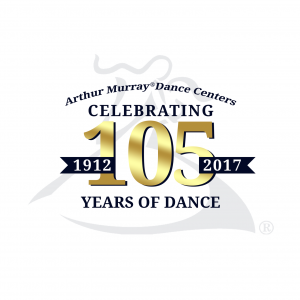 With event opportunities every month of the year, Arthur Murray dance studios create memorable experiences both within the US and Internationally. Students travel, dance, sight-see, and enjoy the local cultures with students and studios around the country. Even if you are simply looking for things to do in Bellevue, Federal Way, Seattle, or anywhere else in the Puget Sound, ballroom dancing lessons are a great thing to try just for fun! The best part about ballroom dance is how easy it is to get started! If you’re interested in being a part of this exciting experience, please give us a call or send in your information because we would love to help you join the adventure of a lifetime! Click Here To See Our New Student Program!